Asiad Steels is one of the renowned exporters and suppliers of Inconel 601 Fasteners. 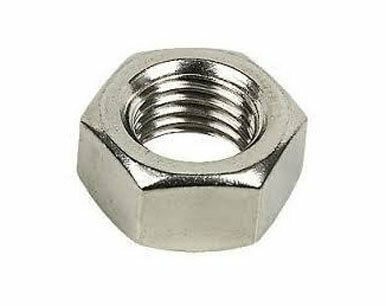 We also offer the same in different types such as Inconel 601 Nuts, Inconel 601 Bolts, Inconel 601 Washers, and Inconel 601 Stud Bolt. Also known as UNS N06601 Fasteners, it is highly resistant to oxidation through 2200 Degree F even under severe thermal cycling. Common applications of the properties of Inconel 601 can be found in such fields as thermal processing, chemical processing, pollution control, aerospace, and power generation. Nickel alloys are commonly used for high temperature applications and highly corrosive environments or a combination of the two. 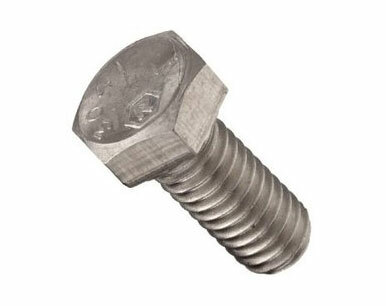 These Inconel Din 2.4851 Fasteners is a nickel-chromium alloy with an addition of aluminium for outstanding resistance to oxidation and other forms of high-temperature corrosion. The 601 Alloy Fasteners are used in Hardware, Petro-Chemical Industry, Oil and Gas Industry, Nuclear Industry, Pulp & Paper Industry, Research & Development, Mega Projects & Defence & Development Industries. one of the most widely used thermowell sheathing material and oxygen injection tubes in the metal and glass making industries. Alloy 601 is a nickel-chromium alloy with an addition of aluminium for outstanding resistance to oxidation and other forms of high-temperature corrosion. 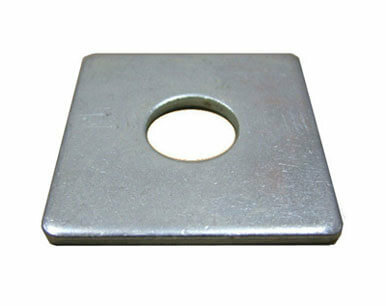 These fasteners are used in many chemical industries and are available at reasonable prices. Inconel 601 is a nickel-chromium metal possessing great resistance to chloride ion and stress causing acids and chemicals. Alloy 601 also has high mechanical properties at elevated temperatures. It is not age-hardenable and is only strengthened by cold working. Buy Alloy 601 Fastenersat reasonable rates from us. We are Exporter of Inconel Alloy 601 Fasteners in Worldwide Such as India, Gabon, United States, Czech Republic, Croatia, Oman, Costa Rica, Finland, Algeria, Ecuador, Hungary, Nigeria, Kuwait, Malaysia, Puerto Rico, Slovakia, Mexico, Philippines, Greece, Belgium, Mongolia, Macau, Colombia, Indonesia, Venezuela, Qatar, Nepal, Gambia, Switzerland, Estonia, Kenya, China, Tibet, France, Bolivia, Sweden, Pakistan, Portugal, Angola, Argentina, Norway, Bulgaria, Saudi Arabia, Namibia, Iran, Australia, Chile, Bangladesh, Egypt, Germany, Denmark, Israel, Russia, Peru, Zimbabwe, Canada, Thailand, Jordan, New Zealand, Lithuania, Libya, Bhutan, Taiwan, Spain, Yemen, Iran, Japan, Brazil, Italy, Chile, South Africa, Trinidad & Tobago,Tunisia, Vietnam, Ghana, Poland, Afghanistan, Mexico, Nigeria, Azerbaijan, Lebanon, Sri Lanka, Kazakhstan, Hong Kong, United Kingdom, Romania, Netherlands, South Korea, India, Poland, Morocco, Austria, Belarus, United Arab Emirates, Iraq, Bahrain, Singapore, Ukraine, Ireland, Turkey, Serbia. We are Suppliers of Inconel 601 Fasteners in India Such as Mumbai, Thane, Atyrau, Bengaluru, Gimhae-si, Abu Dhabi, La Victoria, Howrah, Jaipur, Pune, Edmonton, Cairo, Singapore, Moscow, Ahmedabad, Dallas, Ludhiana, Vadodara, Rio de Janeiro, Seoul, Jeddah, Karachi, Toronto, Al Khobar, Surat, Nagpur, Pimpri-Chinchwad, Al Jubail, Muscat, Haryana, Melbourne, Perth, Courbevoie, Algiers, Nashik, Bogota, Riyadh, Kuala Lumpur, Houston, Indore, Bangkok, Ernakulam, Ranchi, Busan, Jamshedpur, Lagos, Istanbul, Visakhapatnam, Brisbane, Lahore, Dubai, Faridabad, Ulsan, Hanoi, Bhopal, Ahvaz, Chiyoda, Baroda, Port-of-Spain, Gurgaon, Dammam, London, Petaling Jaya, Jakarta, Aberdeen, Rajkot, Geoje-si, New York, Granada, Santiago, Los Angeles, Thiruvananthapuram, Hong Kong, Navi Mumbai, Noida, Kolkata, Coimbatore, Montreal, Manama, Ho Chi Minh City, Kuwait City, Ankara, Madrid, Calgary, Chennai, Milan, Kanpur, Sharjah, Caracas, Vung Tau, Mexico City, Secunderabad, Colombo, New Delhi, Mumbai, Doha, Sydney, Hyderabad, Chandigarh, Tehran.